Develop leadership skills, improve decision-making and achieve goals. Coaching is a powerful process uniquely designed to assist you with the choices you face and to create lasting change. We all experience changes in our needs, expectations, environment, relationships, careers, economics, business, time demands, and so much more. Improve your life, decision making and the competitiveness of your business. This impactful three-month coaching program will offer you the opportunity to focus on concrete issues that are getting in the way of achieving and thriving both personally and professionally. One-hour ‘Deep Dive’ Evaluation session- where you will work with Babette to articulate your business and personal objectives, and understand your personal preferences. Unlimited emails and short phone calls between sessions. One-hour strategy and review session at completion of program. One ‘power hour’ coaching session- three months after completion of program. Bust those self-limiting beliefs, boost your productivity and enhance your self-esteem. Many of our beliefs about ourselves holds us back from being able to realise our goals and dreams. These self-limiting beliefs are often ingrained, formed throughout our lives and now embedded into our psyche. What we believe becomes our reality. Over a four-month period Babette will work with you to develop and deepen your personal awareness to ensure you become the confident, self-assertive person that you know you can be. Gain superior personal awareness and strategic insights to help you reach your leadership potential. This unique 6-month coaching program is designed for senior executives who are being groomed for senior leadership roles or who are looking to develop their leadership capabilities, strategic thinking and emotional awareness. 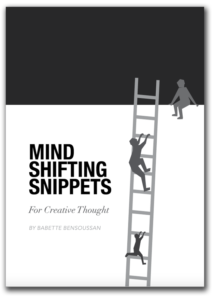 Babette brings unique capabilities as a trained counsellor, executive coach and mentor, and world- renown expertise in Strategy and Competitive Intelligence to this senior level leadership program. Through the use of the Energy Leadership Index Assessment and other tools, participants will be able to measure the direct impact of this program on their professional and personal life. 2 x Energy Leadership™ Index Assessments (at the start and conclusion of the program to measure change). One-hour strategy and review session at completion of the program. One ‘power hour’ coaching session- three months after completion of the program. Each program is unique in that I don’t expect you to take on this challenge on your own. Together we work shoulder to shoulder to build on your intrinsic capabilities, grow your belief in your self-worth, and allow the confident person inside to emerge. Read Babette Bensoussan’s Client Testimonials Here. Book in for our complimentary coaching session and discover your path to success.